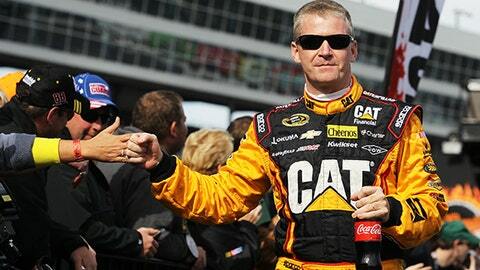 Jeff Burton is a winner of 21 Sprint Cup Series races. As expected, Jeff Burton wasn’t out of work long. Burton, the South Boston, Va., native who has been a NASCAR Sprint Cup regular since driving for the Stavola Brothers in 1994, will move to Michael Waltrip Racing, starting with next week’s test at Charlotte Motor Speedway. The team announced Monday afternoon that Burton, who has 21 Sprint Cup race wins in his career, will "test and drive in a select number of races during the 2014 NASCAR Sprint Cup season in the No. 66 Toyota Camry." His first race with the team will be at Las Vegas Motor Speedway next March, the third race on the 2014 Sprint Cup calendar. With the departure of longtime sponsor NAPA, MWR will not run the No. 56 car next season. Instead, it will have two full-time cars — Clint Bowyer in the No. 15 and Brian Vickers in the No. 55, as well as the No. 66 as a part-time car. Waltrip himself will drive the No. 66 in the Daytona 500. "In the upcoming weeks, MWR will announce any other events added to Burton’s schedule," the team announced in a news release Monday. 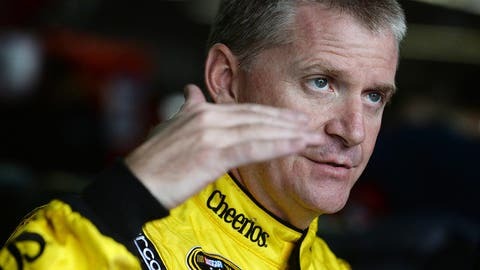 "We were extremely fortunate to have a driver as experienced and respected as Jeff Burton come available," team co-owner Rob Kauffman said in the team’s release. "He will be able to have an immediate impact as we continue to strive for that last one percent that separates champions from contenders." "I’ve heard all good things from the drivers who raced at MWR over the last couple of years, and I certainly have seen how fast their cars have been," said Burton. "These are great people who have dedicated themselves to become winners at the highest level. Michael and Rob are so committed to success and I wanted to be a part of that. I’m excited to do something new and will work hard to help the other two teams compete for wins and a championship." I’ve heard all good things from the drivers who raced at MWR over the last couple of years, and I certainly have seen how fast their cars have been. Burton drove for Roush Fenway Racing from 1996 to the middle of the 2004 season, finishing in the top five in points for four consecutive seasons, from 1997-2000. He joined Richard Childress Racing in the second half of the 2004 season and was there through the end of the 2013 campaign. MWR did not announce a crew chief or any sponsors for the No. 66.